COPROGET S.r.l. is a company based in Turin specialized in the design and manufacturing of tooling, special purpose machinery and automated production lines for the cold processing of sheet metal and profiles. Cutting, Roll forming, Bending (Stretch Bending), and Assembling. We produce all from stamping tools to complete key turn production lines. Our core business focuses on parts based on roll formed or extruded profiles. Starting in 1994 as a toolmaker, Coproget S.r.l has constantly expanded in terms of type of production, quality and services. Today we provide production lines worldwide. We have a high capacity to serve the market with customised solutions and the attitude to always maintain the highest standards. That is also oriented to the implementation of new concepts. During the years COPROGET focused more and more on high-end technological equipments and machinery using their own innovative solutions. The attention put on research and innovation has allowed COPROGET S.r.l to present, so far, nine Industrial Patents. Today COPROGET S.r.l. leds COPROGET GROUP, a cluster of several companies specialized in machine building. Coproget do not consider quality as a mear document. It is a lived strategic commitment that through the certification guarantees the best result for our Customers. 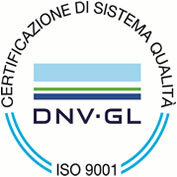 COPROGET holds the Certification according to ISO 9001 : 2000. COPROGET often presents itself as a group. It is a cluster of small companies based around Turin working in machine building. COPROGET S.r.l. leds that group for the automotive industry. These companies are partly financally linked. This type of organisation gives us a higher flexibility in productive and engineering resources, both human and machines. Finally it gives access to the latest technologies of each specialist in benefit of our customers. The philosophy of the group gives access to the latest available technologies of the different aspects of modern machine building. Coproget, S.r.l. is integrated in the Piemont automotive association "From concept to car" . COPROGET S.r.l. develops and manufactures circuits for agressive high pressure gases for this network. A cooperation which provides useful synergies for COPROGET machines. We use this know how in order to achieve the highest quality for our special high pressure hidraulics applied in our machines.